The “Hottest” in our line of products; a perfect blend of Habanero and Hawaiian Chili peppers to make our Habanero Mango Hot Sauce. The taste will knock your socks off! 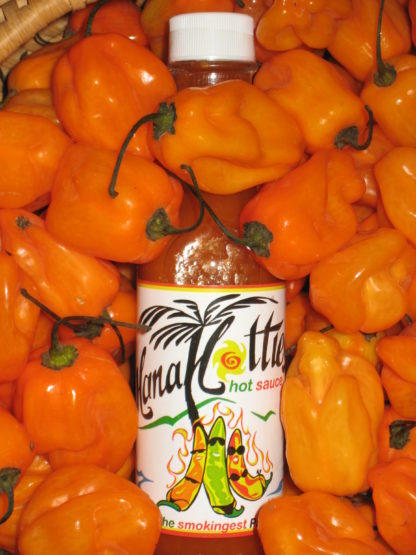 As with our other HanaHotties Gourmet Hot Sauce this product is made with the best ingredients we can get our hands on, Organic Hawaiian chili peppers, Habanero peppers, Real mangos, lemon juice and other REAL foods. Enhance any meal with our Habanero mango Hot Sauce; it will become another favorite.